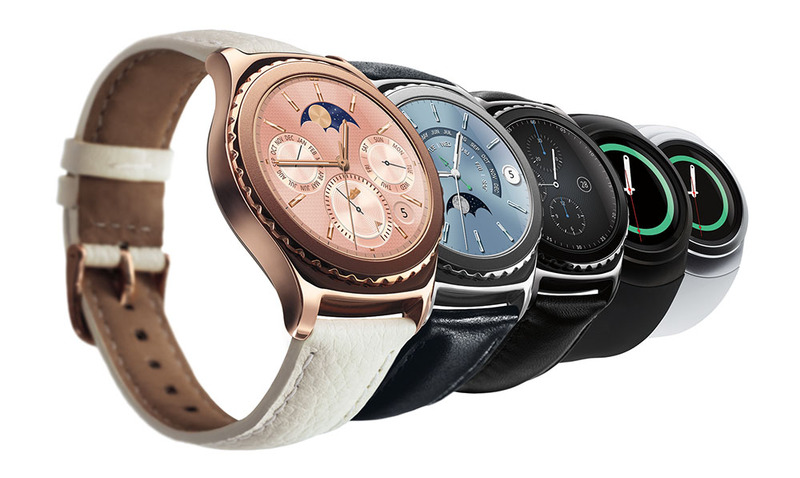 The Samsung Gear S2 Classic in Rose Gold and Platinum will hit US stores starting tomorrow, February 12, for $449.99, according to Samsung. The companies announced US availability this morning, stating that you’ll be able to buy each from retailers such as Amazon, Best Buy, Macy’s, and Samsung.com. This higher-end version of the S2 Classic was originally announced at CES, where we gave you a quick photo tour. It then launched in China a few weeks later and is now ready for the US. As a recap, the Gear S2 Classic is every bit a member of the Gear S2 family, except that it carries a more traditional timepiece aesthetic, hence the “Classic” moniker. These two new models are finished in either 18K rose gold or platinum, which is why you are paying a $100 premium over the original Gear S2 Classic. These devices also feature Samsung’s fun-to-use and quite innovative rotating bezel, Tizen operating system, and beautiful 1.2-inch circular Super AMOLED display. They include 1.0GHz dual-core processors, 512MB RAM, 4GB internal storage, IP68 dust and water resistance, WiFi, NFC (for mobile payments at some point), wireless charging, and a 250mAh battery that can last a good two days.